Our specialized features will ensure that your building fits your needs and gives you maximum use from your AFAB building. 19-21 Jun 2019 Regina Exhibition Park Secrty, Regina Sk. Stop in at our outside booth to take advantage of our Trade Show Promo’s – or go to the REQUEST A QUOTE tab from this Web Site. 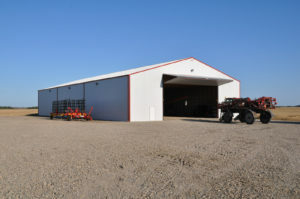 AFAB Industries was established to provide outstanding post frame building contracting services for agricultural and commercial applications. From our head office in Rocanville, Saskatchewan, we serve the entire western Canadian region, providing exceptional value in all our post frame buildings. Our experienced personnel can recommend the building that’s right for you. Choose from our entire range of building designs and applications. Our specialized features will ensure that your building fits your needs and gives you maximum use from your AFAB building. I just wanted to drop you a note to let you know how pleased I am with our recent transaction on the purchase of my new shed. From the initial communication with your company, right through to the completion of the building, you and your team were great to deal with and everything went very smoothly. The quality of the construction is exemplary and your sub trades were all great to deal with. I am very happy with the building and you are free to use this email as an endorsement to any potential client. If you have anyone who would like to speak to me about using Afab, please feel free to provide them with my contact info. Hi Bernard, Thank-you for building our new hay shed. We really appreciate how smoothly the whole process went. The trades showed up when promised, the quality of work was outstanding and the quality of building was above our expectations. You were always available when we called and were able to answer any questions we had, which we appreciated. If ever needed, please use us as a reference. We would recommend AFAB to anyone that is need of a post frame building. Matthaus Eggenberger Eggi’s Farm Ltd.
Hi Bernard, I would just like to Thank you, Arron and your team for building us our farm building. It has been a pleasure to do business with AFAB, you were professional from start to finish with very friendly staff. I would highly recommend you and your team, and we will definitely use AFAB for our next building project. Regards Richard Walker, Newdale MB. Hi Bernard. Murray Smyth here I bought a pole shed from you this summer. Just a note to tell you how pleased I am with everything. We set a date to start building and it was right on. The crew came and were gone in four days. They had a couple small issues but were handled with ease. Really like the quality of this building. Would buy another one in a heart beat. (When I need one) Thanks.